So, a colleague once told me that some Nigerians don’t subscribe to insurance because their lives and everything they own have been covered by the blood of Jesus and the Holy spirit. After-all, the highly religious population pay their monthly tithe regularly. That line of thought may not entirely be out of place. If not, how would one explain that only 7 of the 54 vehicles that were burnt in the tanker explosion that occurred on the Otedola Bridge end of the Lagos-Ibadan Expressway had comprehensive insurance cover. Figures from the Nigerian Insurers Association revealed that 22 other vehicles only had third party insurance. The NIA noted that the ownership and full details of 15 vehicles are yet to be ascertained. According to the association, investigations were still ongoing on how to know the owners of the unidentified vehicles. 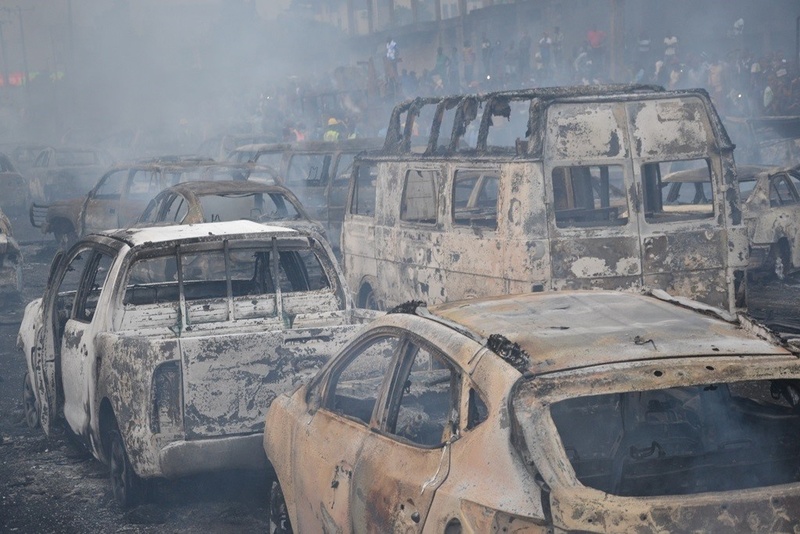 The Director-General, NIA, Mrs Yetunde Ilori, said the underwriters that insured the identified cars had been notified of the vehicles under their purview. “We have told them not to wait until the owners come forward, but because they have the details, they should contact the owners on time and commence the claims payment,” she said. She said that the insurance companies would settle the claims of vehicles with comprehensive insurance. However, for vehicles with third party insurance, the tanker will take responsibility for their losses as the tanker was not proved to have any insurance cover. The tanker accident, which occurred on June 29, claimed no fewer than 12 lives. Like this story? Share it.